Inaugurated in March 2016, this Latam Desk is established as the commercial office of LLYC New York. As the financial and economic capital of the United States, New York is one of the commercial hubs LLYC has identified for business development within the country. 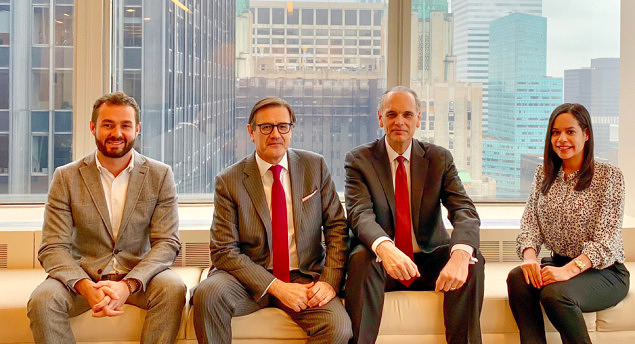 With this objective, the Latam Desk will be an extension of the Miami office and a point of contact in the heart of Manhattan to provide major companies, attorneys and financial institutions access to the variety of services LLYC offers in Europe and Latin America, and now North America as well. LLYC has identified the following specialty areas in the United States: strategic planning for multinational companies operating in Latin America; M&A transactions in the region; agreements signed in the United States; communication services for multi-Latin companies with a presence in New York and Miami; litigation management; and family-owned wealth management firms consulting for Latin Americans who manage their assets from the country.